« Singapore and Brunei – Merger? Citigroup April 1st warning – get out while you can! We pointed out way back on November 11, 2008 that Citigroup had been taken over by Indians. We have nothing against Indians, but their way of running a business is not what most Americans would expect – Indian management appears to be more honest. A new advisory being sent by Citigroup to its account holders could be in preparation for a Depression-style bank run if the economy takes a turn for the worse (which is now the case). A corresponding advisory can be read on page 23 of Citbank’s Client Manual effective January 1, 2010, which can be read here from Citibank’s own website. We reserve the right to require seven (7) days advance notice before permitting a withdrawal from all checking, savings and money market accounts. We currently do not exercise this right and have not exercised it in the past. Whether or not Citibank actually made this statement, it is true that the Federal Deposit Insurance Corp., which guarantees individual accounts up to $100,000, only has about $50 billion to “insure” about $1 trillion in assets across the nation’s financial institutions. That’s only about 5% of the total deposits out there. 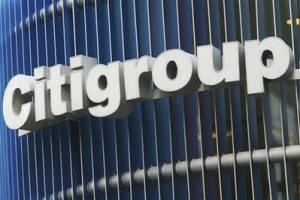 Maybe Citigroup’s Indian management is more truthful than the good-old-boys they replaced.